Evolution has shaped the Homo sapien into the world’s most versatile athlete. We can run, swim, lift, climb, and even fly (with the right equipment). Our catalyst for improvement is our desire to constantly test these abilities against others and ourselves. The unforgiving, unchanging stone was the obvious choice for thousands of years as a test of strength to prove your worthiness to the tribe. 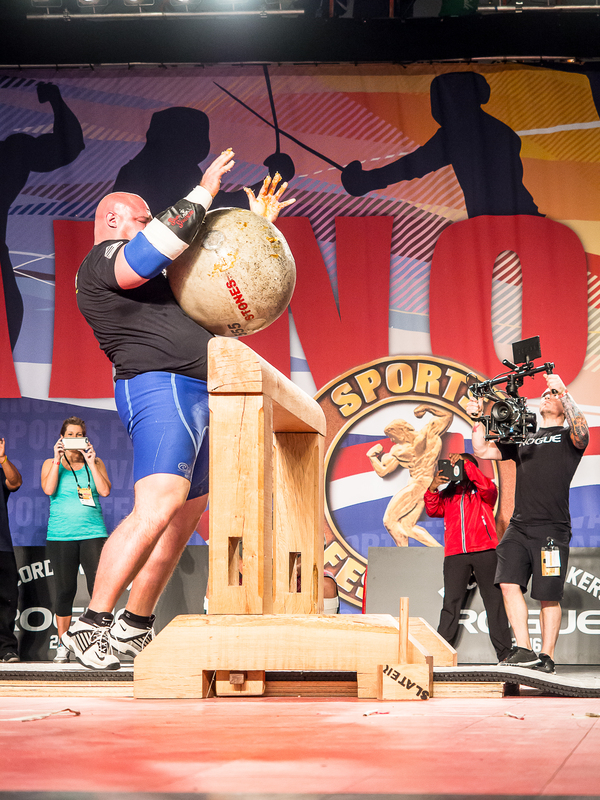 What was once a Viking rite of passage is now the signature event of the world’s strongest athletes, The Strongman Atlas Stones. The typical challenge involves a series of increasingly heavy round stones that are loaded to platforms of decreasing height. The stone is picked, placed in the lap, and loaded on top of the platform, or in some cases over a bar. Occasionally the stone may placed on one shoulder and balanced until the judge observes control from the athlete and signals it down. This is done when platforms are unavailable. 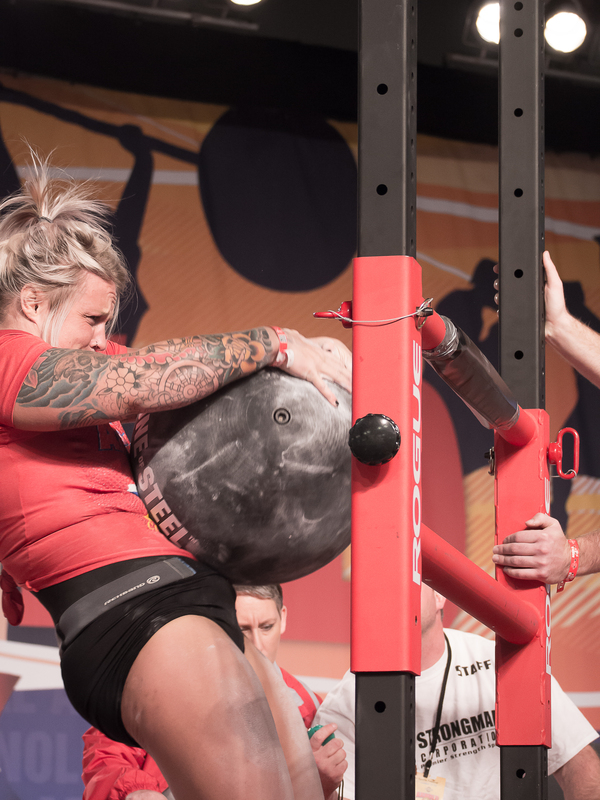 Stones are one of the more technical events in Strongman, but with a good coach it is easy to master. 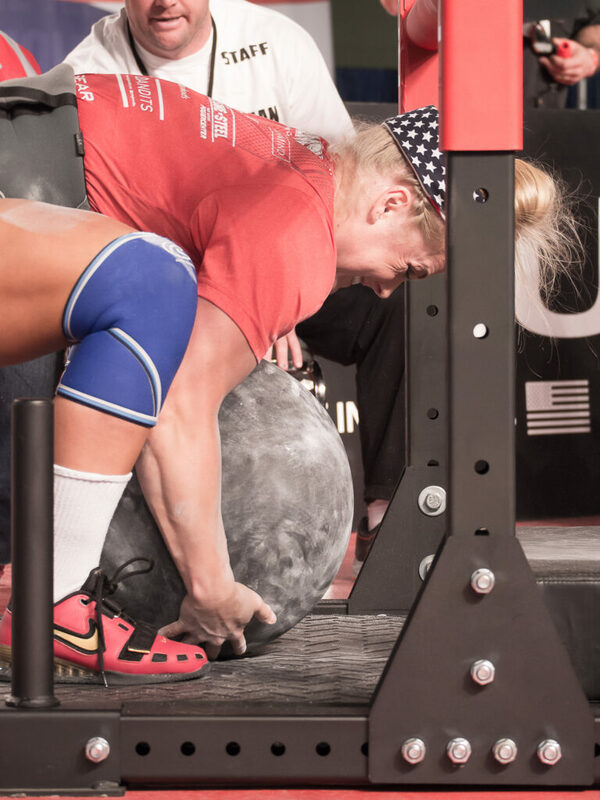 Few events provide the level of full body strengthening that stones can and they are unmatched for conditioning purposes when done for reps of 10 or more. Be forewarned: There is only one correct way to pick up a stone! There are secondary techniques out there that radically increase the stress on the lower back and are inefficient. Please skip them for your own safety. Stone weight is typically in a ratio to it’s size, so for your first time find a few small diameter lighter stones. I also recommend protecting your forearms with stone sleeves or with athletic tape. The last thing you want to do is get cut up from a rough stone and have to deal with an infection. Stand directly over the stone with your feet shoulder width apart. The center mass of the stone should be between the arches of your feet. When you bend down to pick it up, you should look like you are at the bottom of a Romanian Deadlift: soft knees, bent at the waist, hips high, with a flat back. Spread your fingers wide to maximize surface contact with the stone and get your hands as far under as you can (without crushing any fingers). With your weight on the outside of your feet and heels pull the stone up to knee height then “snowplow” your knees together (think skiing). You then place the stone on your legs and pull it into your hips as you take a partially seated position. It’s important now that you pull the stone in as close to you as possible against your chest and bring your hands over the top in the two and ten o’clock positions. This allows you to create a shelf on your body for the stone to sit and not fall out from under you when you stand. You will then pull the stone tightly into the body as you stand up. Move your hips forward and let your eyes look up towards the ceiling. If the platform is a high load you will pull the stone up with your arms and hold your chest high. At the peak of the movement you should look like a Collegiate wrestler executing a suplex. To finish, place the stone on the platform being careful not to get any body parts or skin between the stone and it’s resting place. Loading your first stone is a very memorable experience. I have seen many jumps for joy once someone frustrated by the odd weight and shape has overcome the challenge and finally made their load. I have found stone training for repetitions to be an excellent tool for any athlete who competes in a strength based sport. The wrestlers, football players, and hockey athletes I trained also benefited from the improved body toughness that came along with the crushing weight rolling up their body. To locate a strongman gym that can get you started with stones, check this handy link from Starting Strongman. Photos courtesy Michele Wozniak, Strongman Corporation.